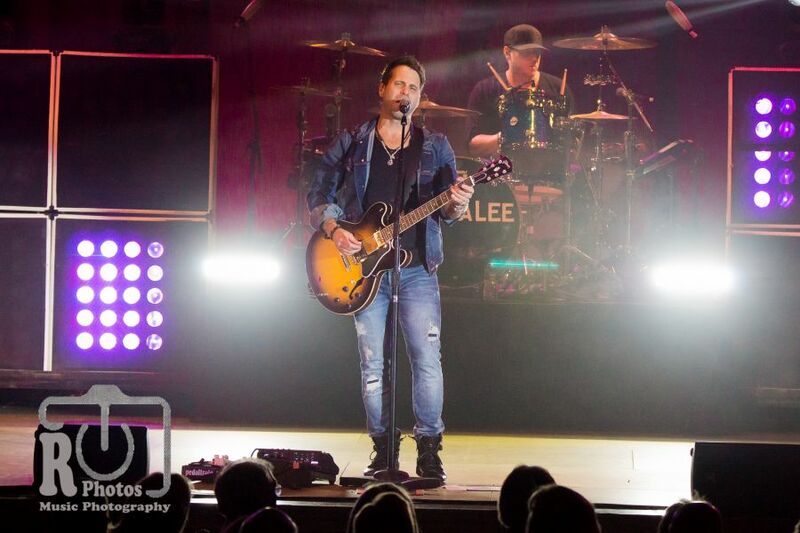 Parmalee visited the Little River Casino and Resort in Manistee, Michigan to spread their roots and introduce some new music. 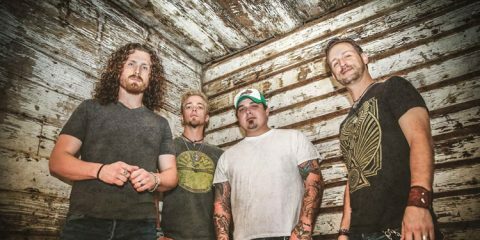 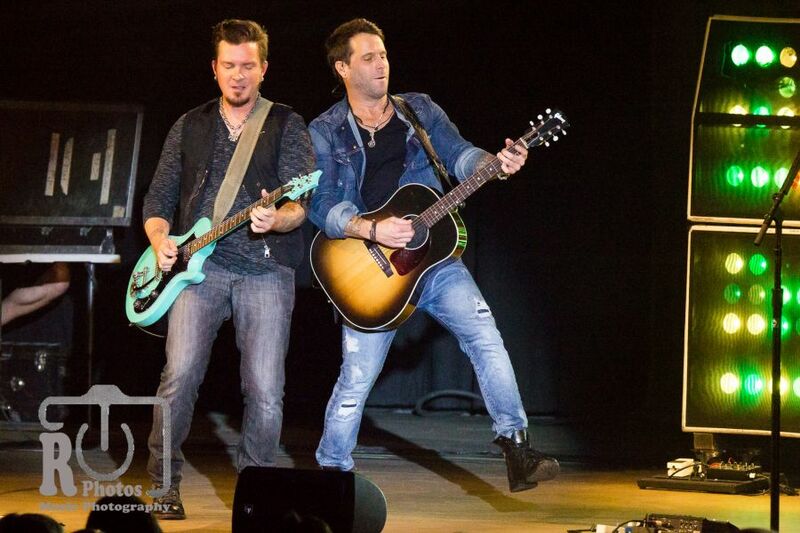 26-Aug-2016: With a newly released single, “Roots,” and an upcoming album on the horizon, Parmalee has hit the road extensively to visit with friends and fans to share some fresh tunes. 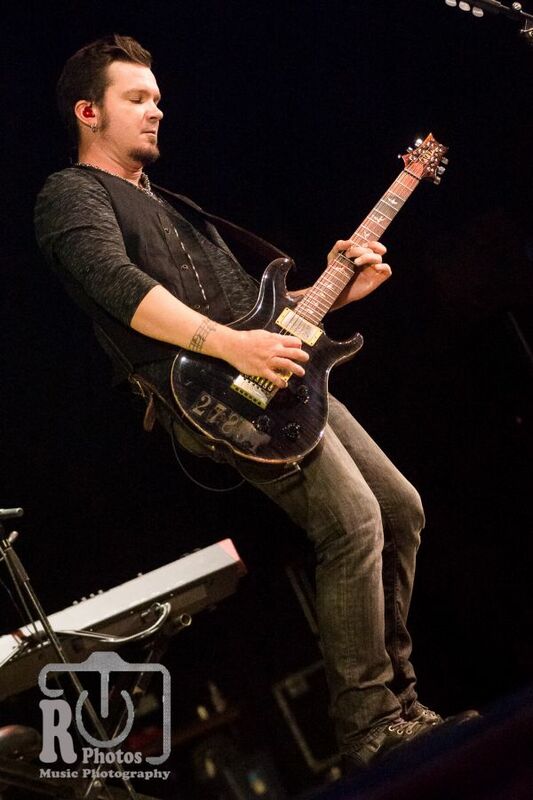 The band entered the stage by way of AC/DC’s thunderous “Back In Black” intro before starting off with their stimulating “I’ll Bring The Music” that set the pace for a high energy packed show. 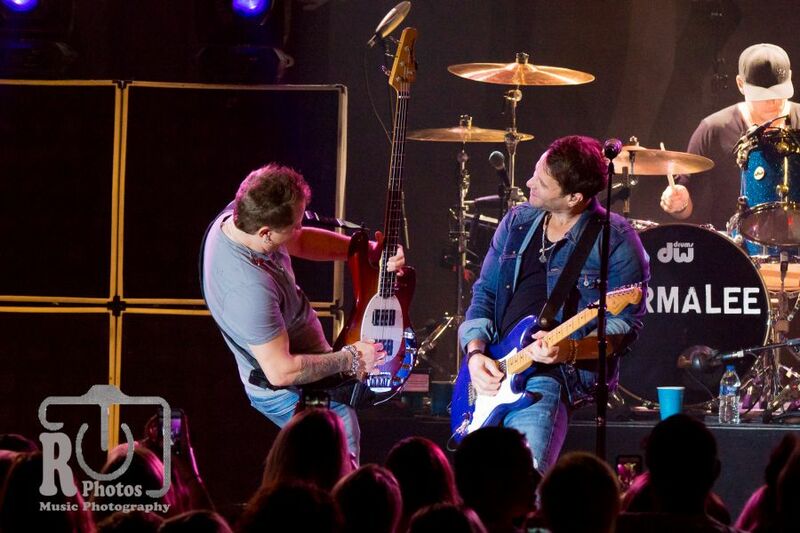 Immediately the crowd launched to their feet and danced in place as the band played on. 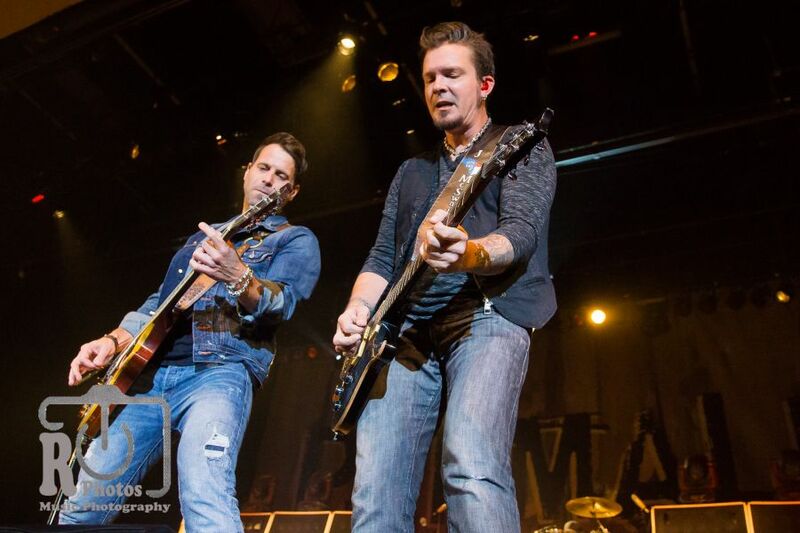 Upon singing “Family Tradition” by Hank Williams Jr., Matt Thomas the guitar-playing lead singer explained to the crowd how the band was made up of family and have played together since 2001 when they united in the hills of North Carolina. 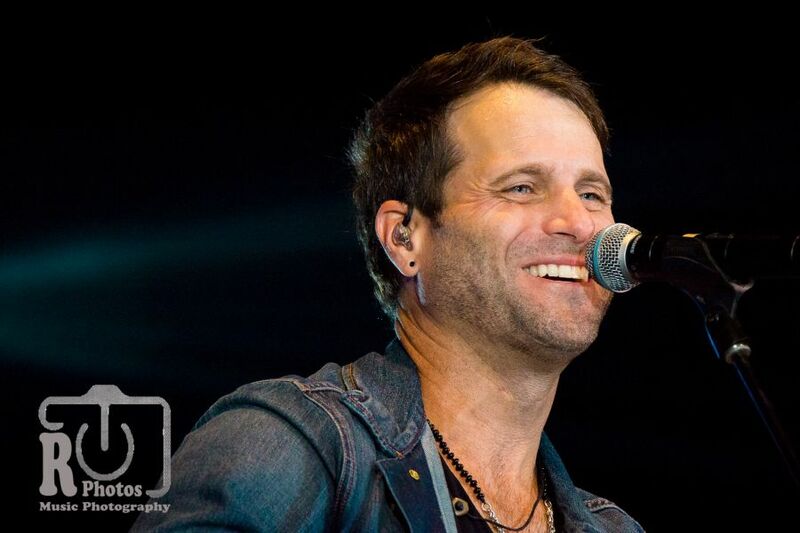 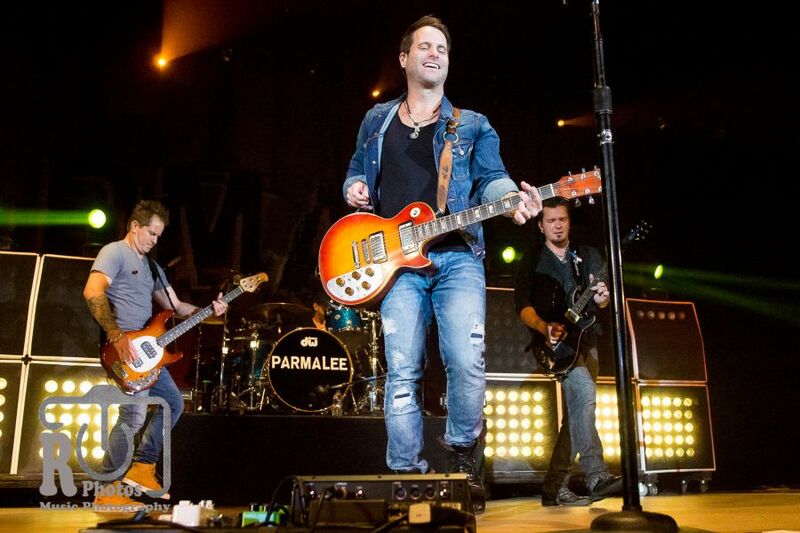 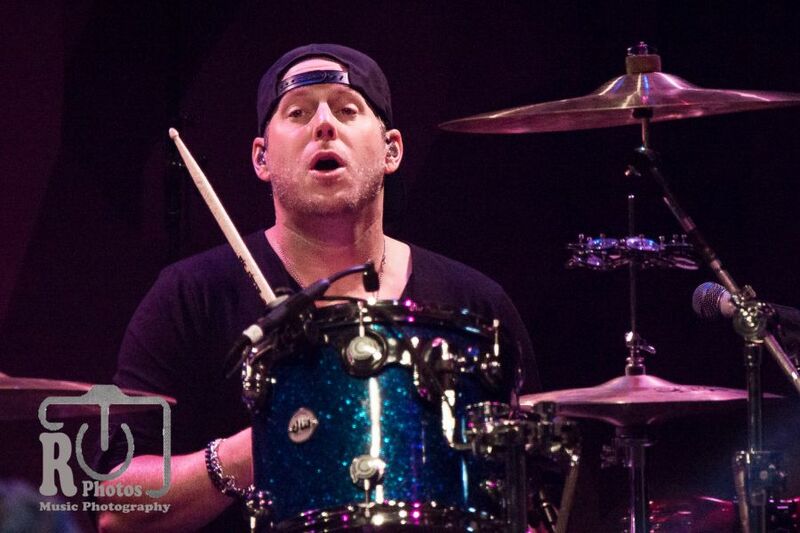 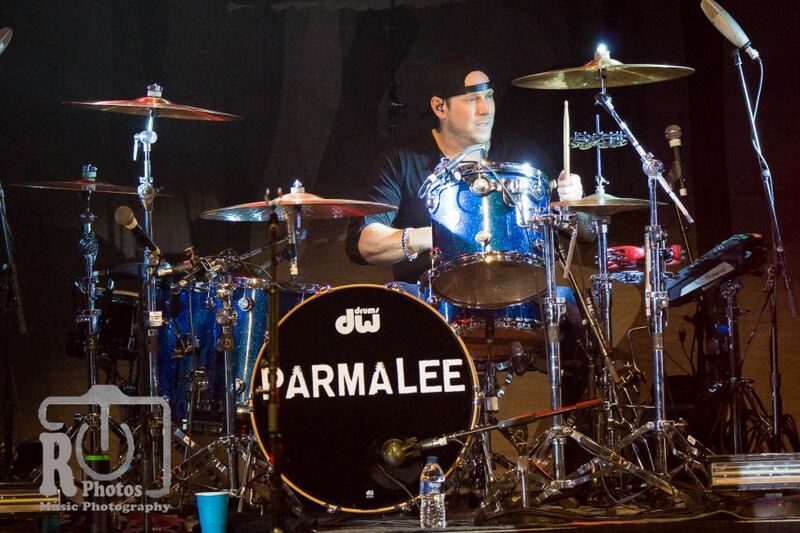 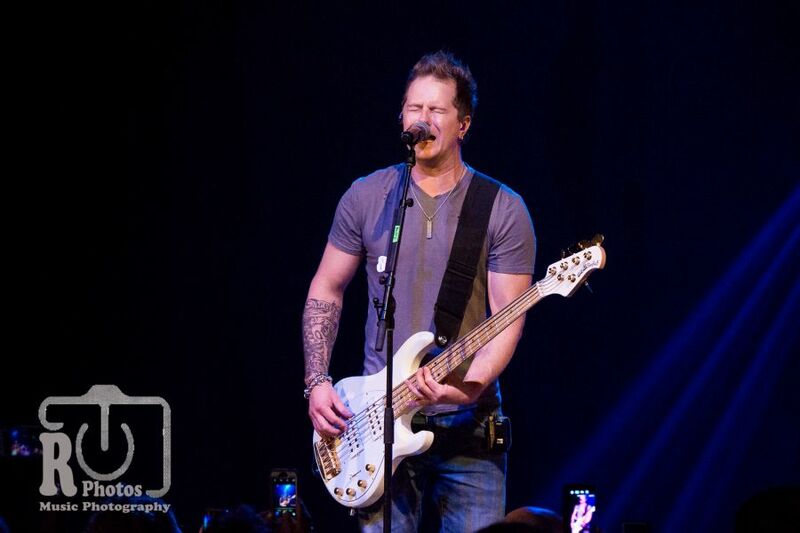 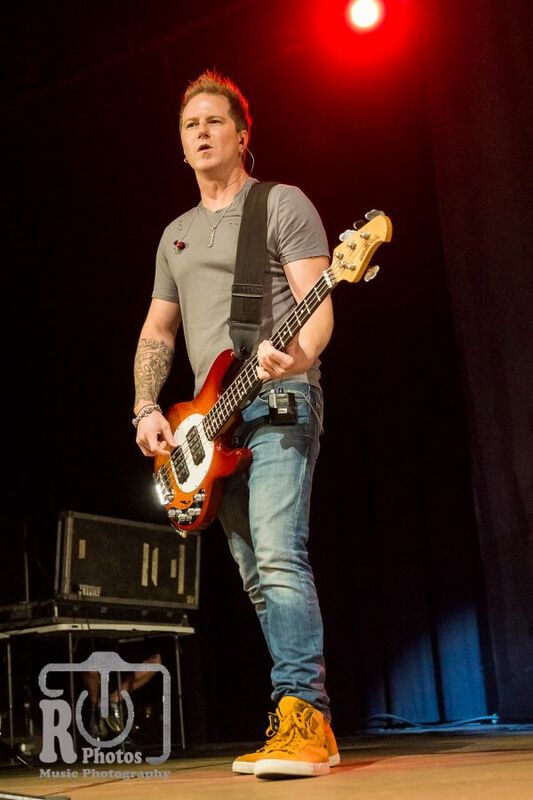 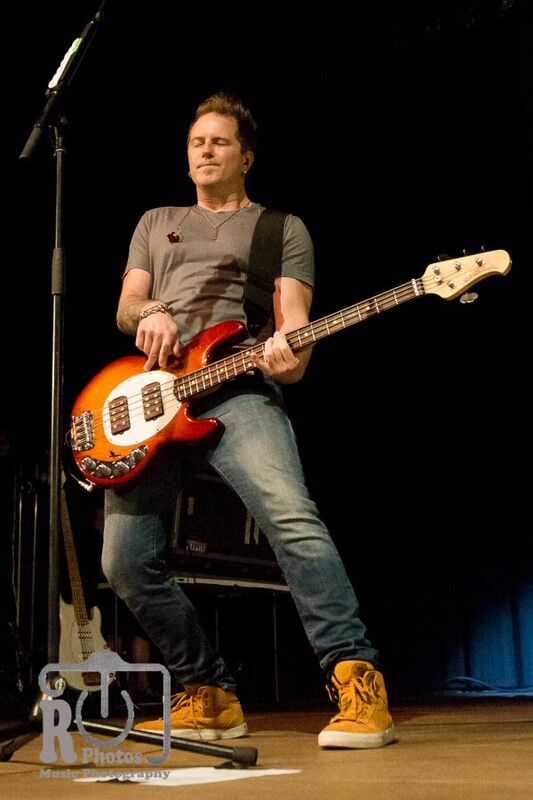 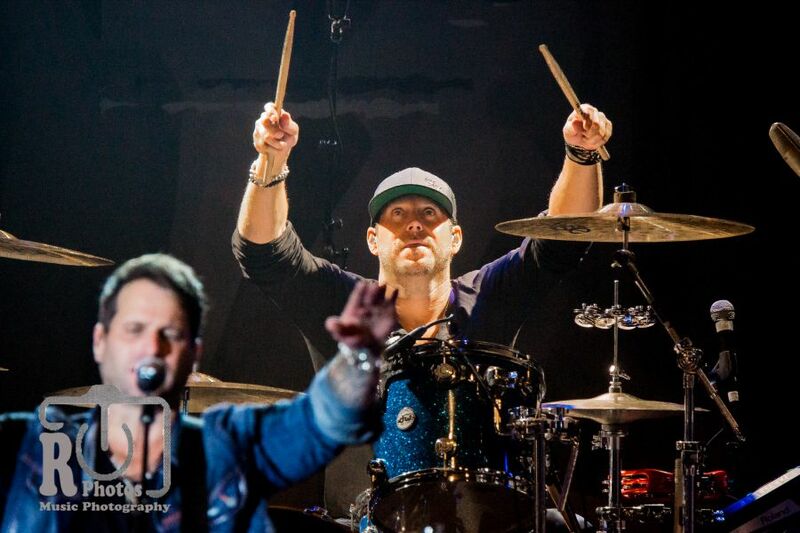 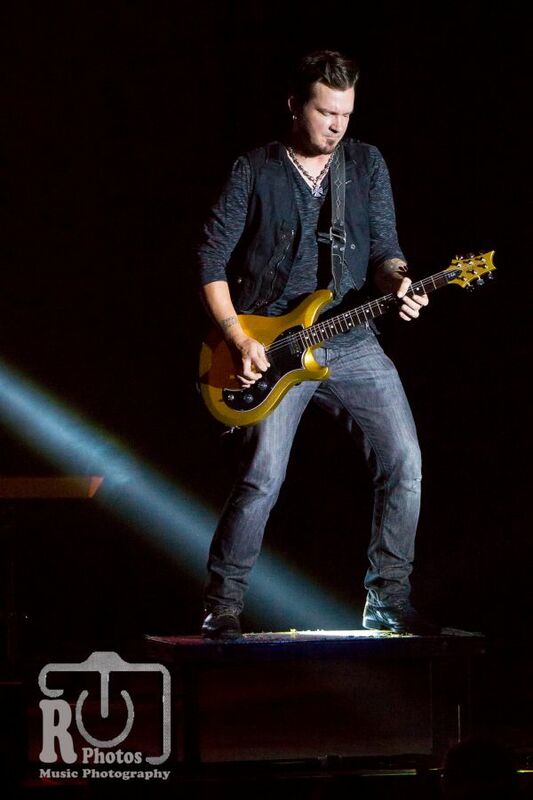 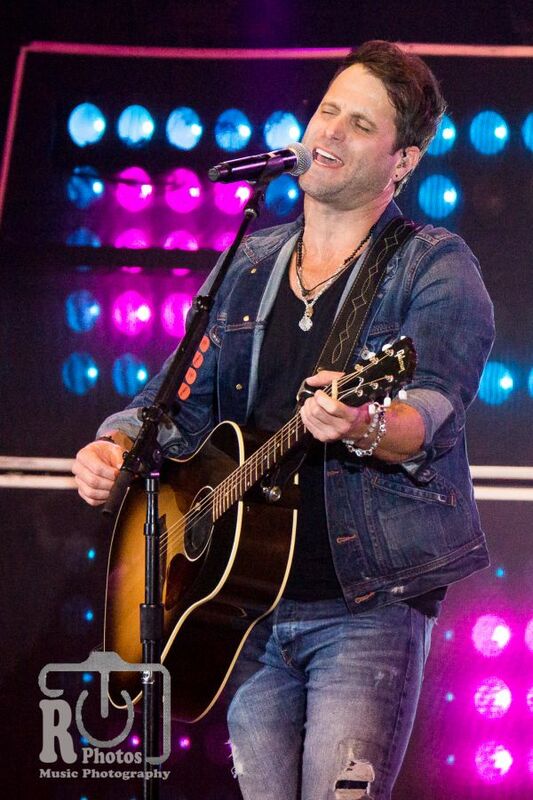 The remaining members of Parmalee are brother Scott Thomas on drums, cousin Barry Knox on bass guitar, and their best friend or as Matt described him, “a brother from another mother,” Josh McSwain on guitar and keyboards. 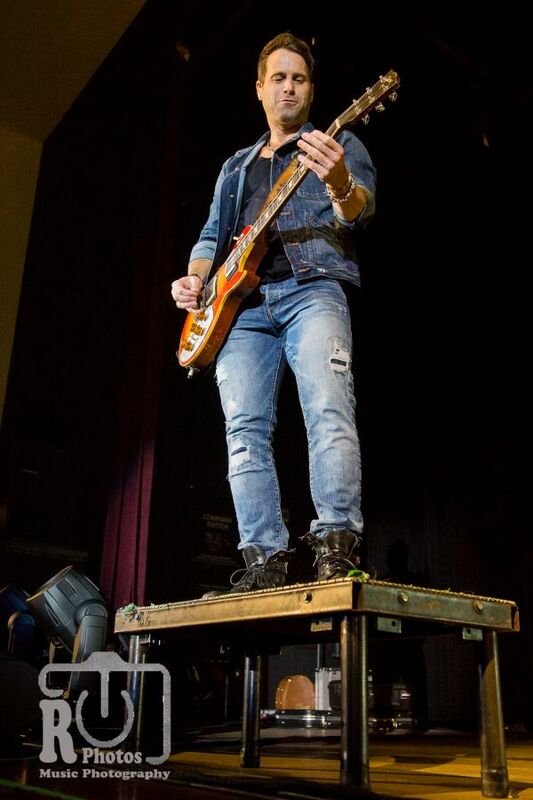 As the stage lighting dimmed for an instrument change, some of the crowd stormed their way to the front to be at the face of the stage. 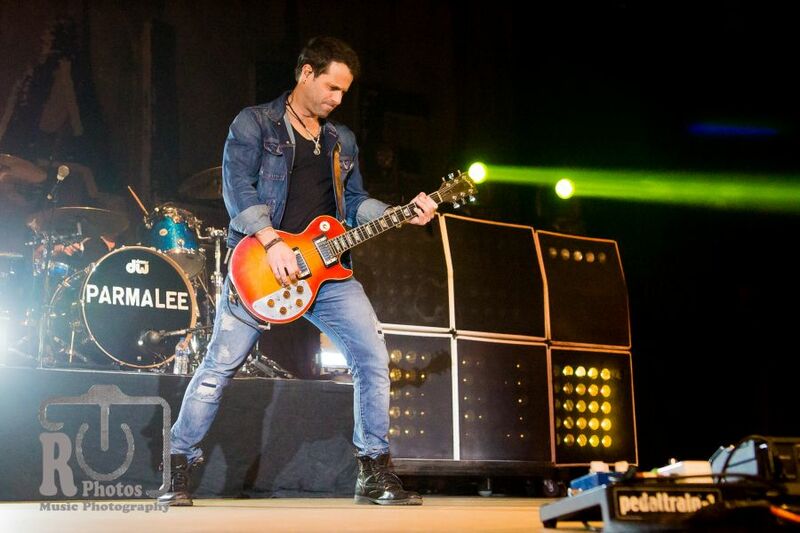 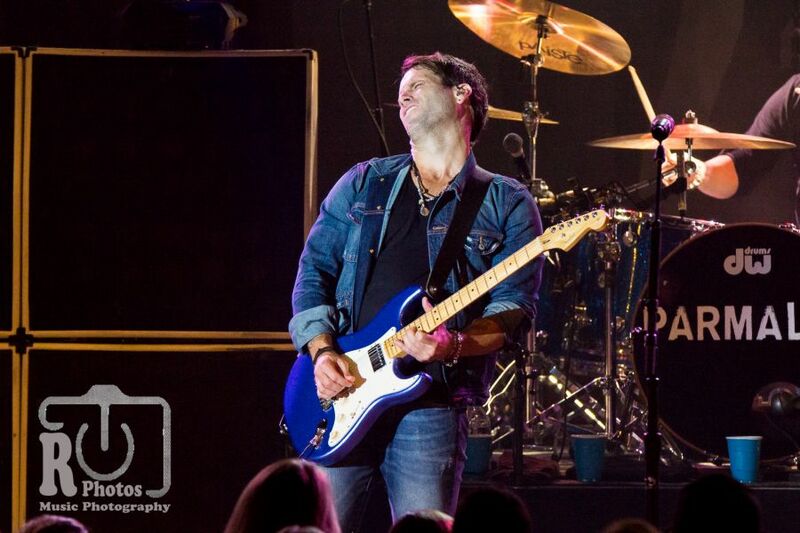 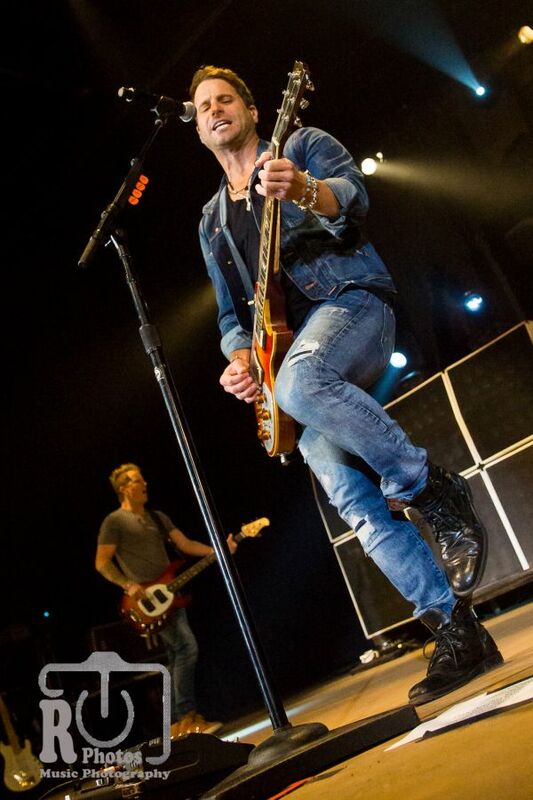 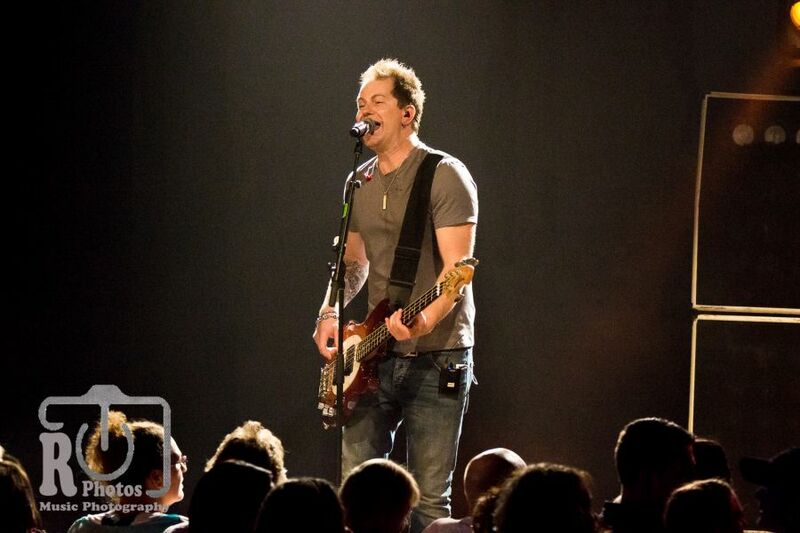 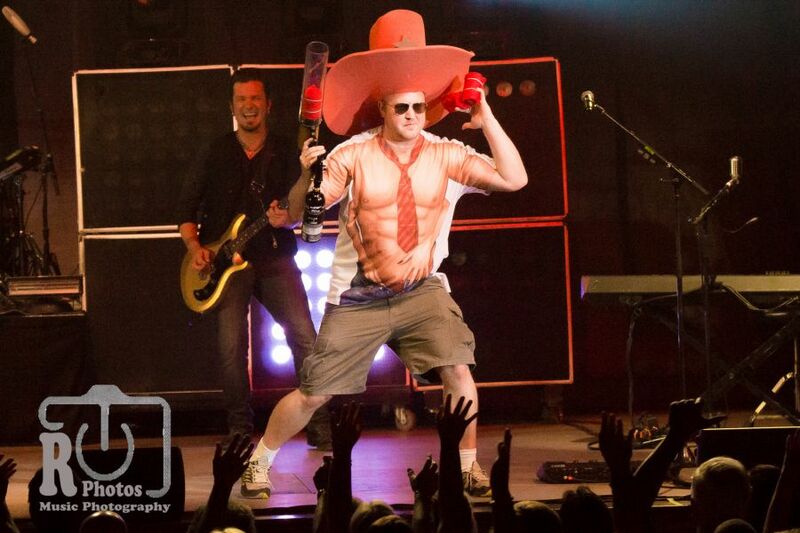 Parmalee is in the process of wrapping up their sophomore album and getting ready to release it in the near future. 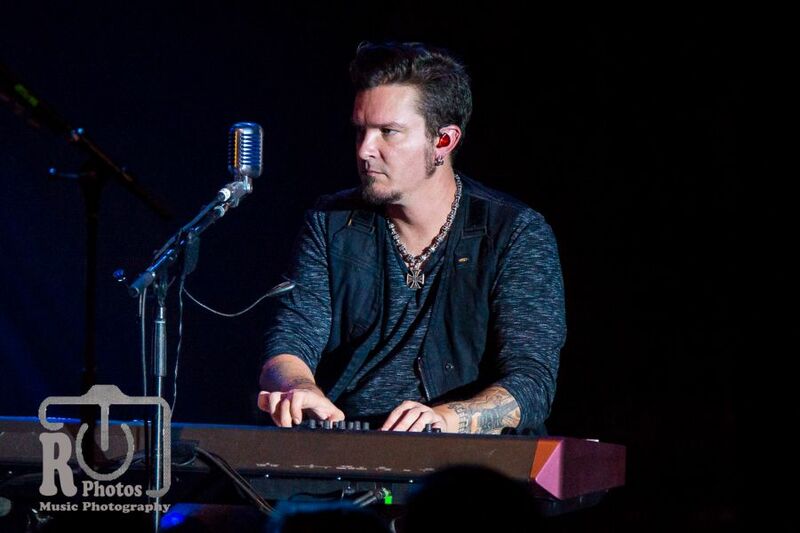 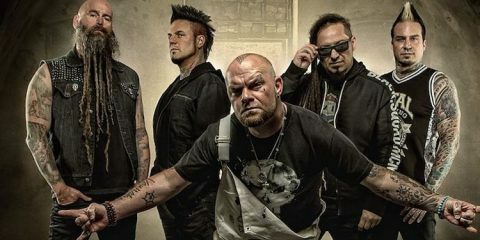 At this time, they have released their first new album single called “Roots.” The song shows the maturity of the band since their first album and opens the door for sensitivity and emotion as the song reflects on them moving forward in life but yet not being able to leave from where they came from. 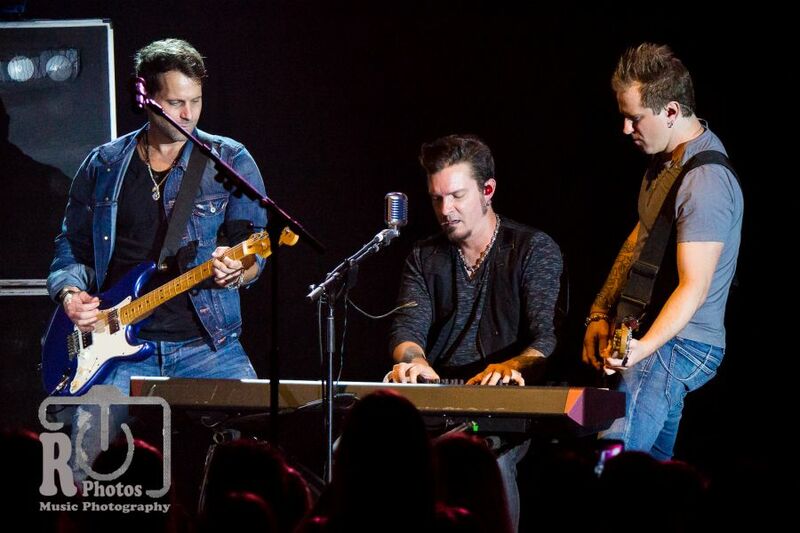 The song began softly with Josh on his keyboards and ended with an emotional and dramatic guitar solo strung out by Matt. 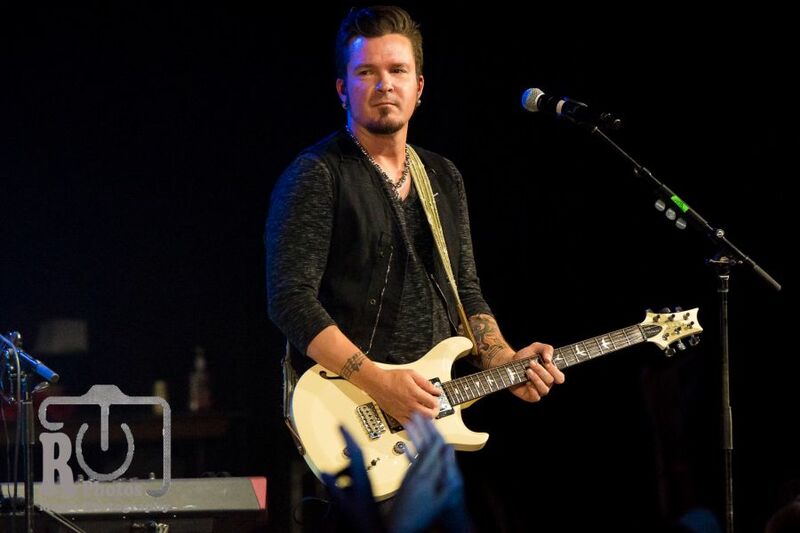 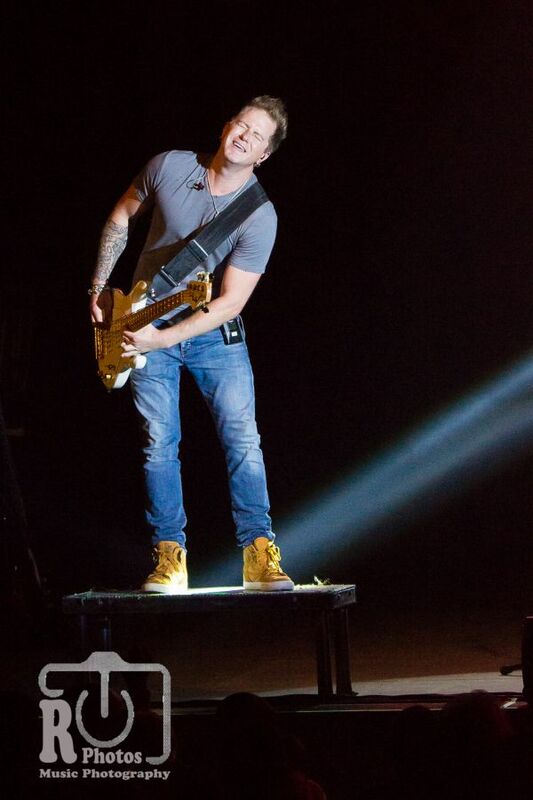 With an acoustic guitar, Matt made comment of growing up and riding around in the back of his father’s pickup truck listening to all types of music. 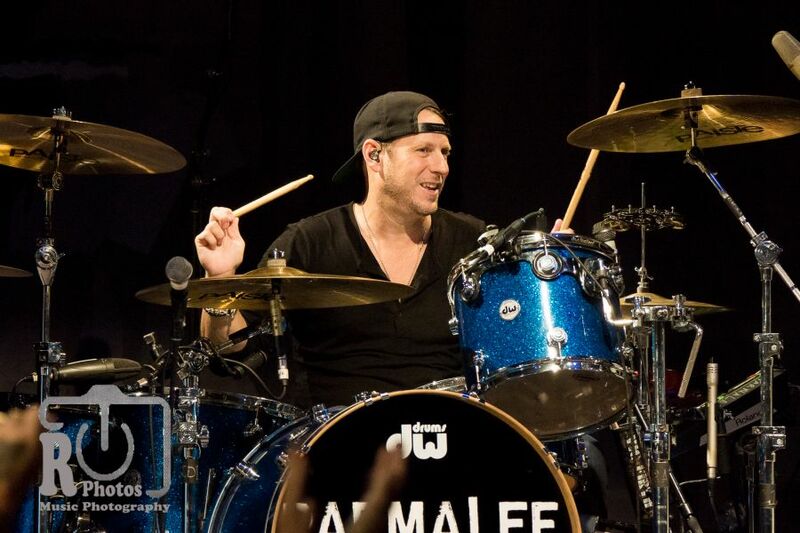 Depending on his father’s mood for the day, it may have including songs like Bob Seger’s “Night Moves,” The Allman Brothers “Midnight Rider,” The Marshall Tucker Band’s “Can’t You See,” or “Let’s Get It On” by Marvin Gaye. 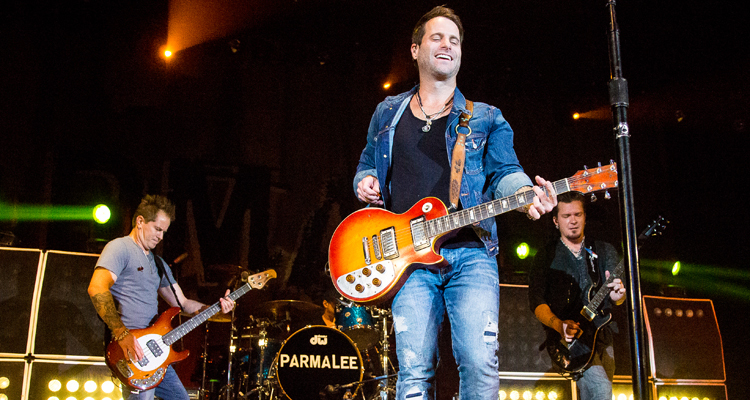 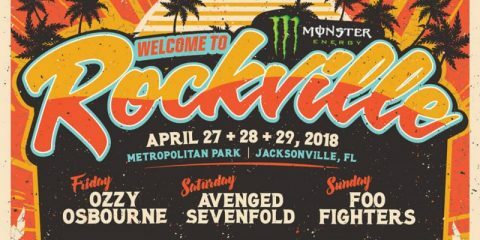 Parmalee ended the show with their first No. 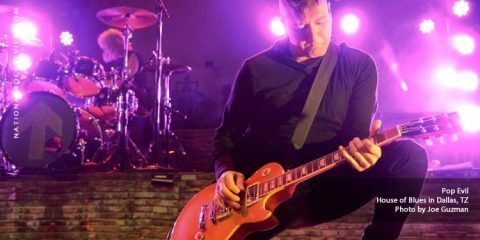 1 hit song, “Carolina,” as the rest of the crowd rushed toward the stage hoping to get close and make contact with the band. 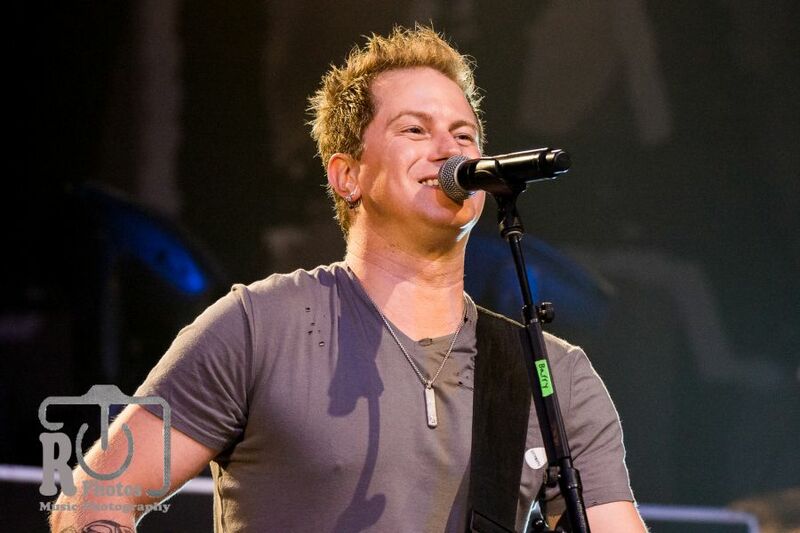 After the show, the guys hung out by their merchandise table to meet fans and sign autographs. 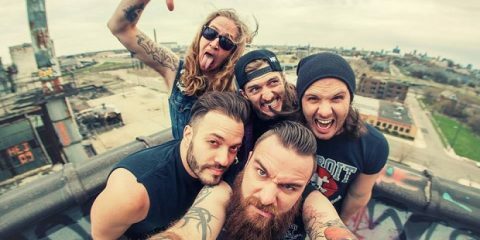 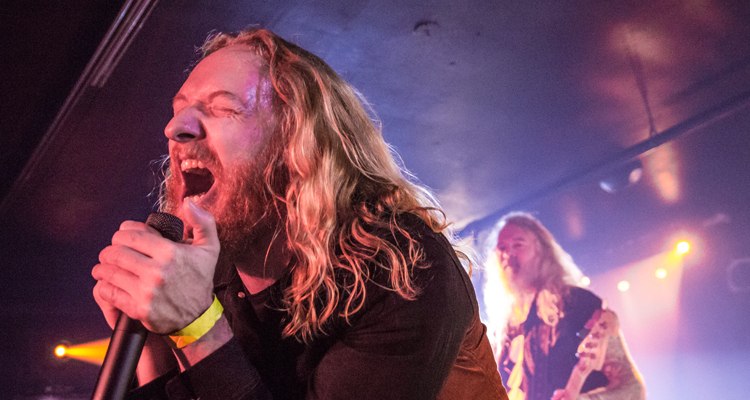 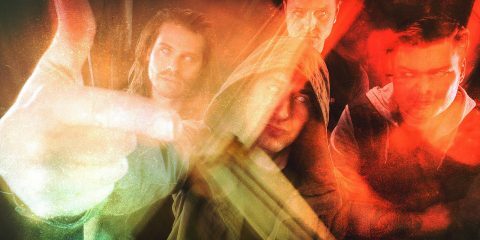 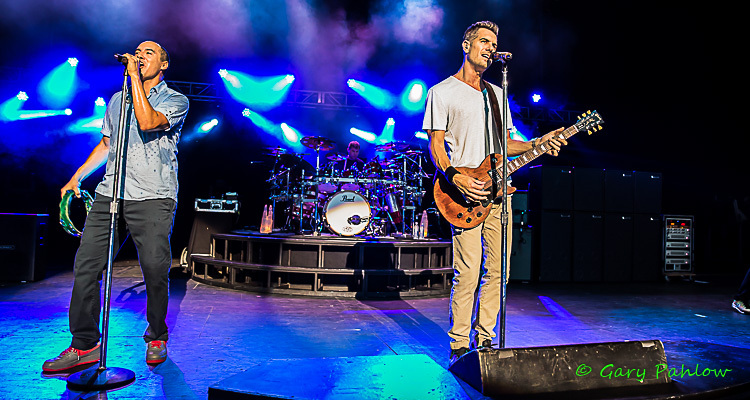 The band’s good grounding and roots are more reason why they continue to grow their fanbase and play in front of full capacity crowds.